Oh my goodness that feels so good to finally say that! Can you believe it?! I still can't sometimes, it is so hard not being able to talk about it! I have been dying for the past 2 months, you have no idea!! Yay!!! Congrats! SO happy for y'all! yayyyyyy!!!!!! congrats!!! so excited for you guuys! Congrats to you both! The chalkboard picture is precious! Congrats to you both! That is wonderful news! I love the chalkboard picture, to cute! This is SOOOOOO exciting! I love the picture! Congratulations! If you are interested, come sign up for the accessory swap! DIED when I saw it on your fb last night!!! I could've guessed it though! I felt like you'd be preggers soon ;) yay congrats!!!!! YAAAAAAYYYY! Congrats to you guys! This is such super exciting news! 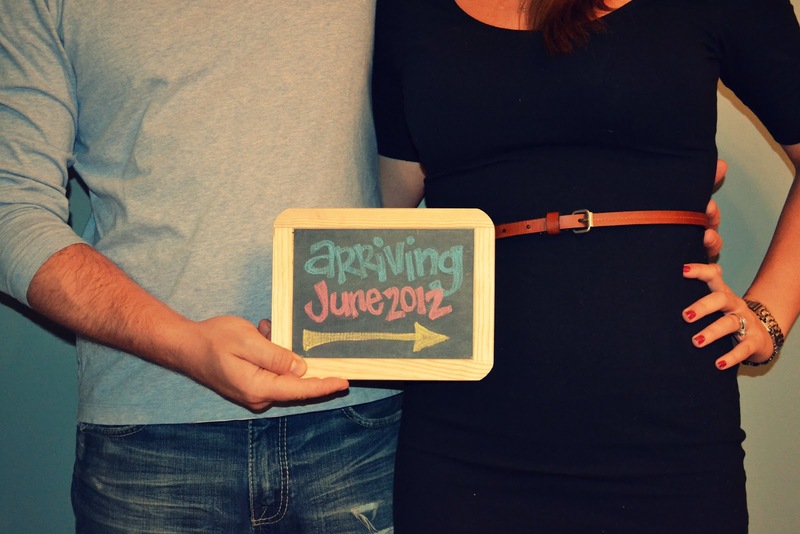 Summer 2012 is definitely going to be the Summer of Babies! :) So happy for you guys, and what a great way to share the news! Oh my goodness!! Congrats on the wonderful news!! How are you feeling? Congrats! I hope you’re feeling well  I am due May 24th so I’m really excited to follow along in your pregnancy! congrats!!! i'm a little late to the game - but I'm so excited for you and can't wait to follow along your pregnancy via your blog!